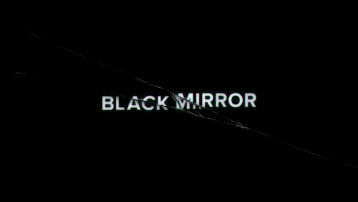 Created by Charlie Brooker, season three of “Black Mirror” is a new high, for not only the quality of programming on Netflix, but also in terms of the nuanced social commentary that makes the show so great. Night at the Museum is an annual event held in Denver on the first Saturday in November from 5 pm to 11 pm. Nostalgia, hard-hitting lyrics and a classic punk-rock rage fuel Green Day’s newest album Revolution Radio to new, yet oddly familiar heights. 1) Snapchat: Snapchat has become one of the most popular apps today because of the fact that it keeps people in communication quickly and easily. It allows users to send pictures with a text attached to it. Users are also able to chat quickly without sending pictures. Snapchat offers filters that show the time, temperature, and speed. You can also filter the color/tint of the photo taken. Recently filters were added that allowed a face swap, puppy face and other funny alterations to the picture. Earlier this year, I reviewed the first season of the “Fargo” TV series inspired by the Coen brothers’ film of the same name, praising it for memorable characters, disturbing depictions of violence, and writing. Because I missed it on TV when it aired, I had a lot of hype for the second season Blu-ray, even picking it up on the day it was released, which, surprisingly, is a first for me. Tonight we take a nostalgia trip as we have an in-depth discussion on why Sly 2: Band of Thieves is the perfect childhood game. Because the original “Zoolander” came out in 2001, its sequel became part of that group of movies that are getting follow ups way past their time, like “My Big Fat Greek Wedding.” That sequel will come out March 25, 2016.